Allegations of anti-Semitism within the Labour Party continue to roll on. The party's leader Jeremy Corbyn met members of Jewish bodies in April, but they said the talks were a "disappointing, missed opportunity". Mr Corbyn has apologised for anti-Semitism in his party and says he is "absolutely committed" to rooting it out. The Labour Party has been hit with claims of anti-Semitism ever since Corbyn became leader in 2015. To understand the issue, you first have to know two very important definitions. Zionism is a political movement which supports the right of Jewish people to their own homeland in the land of their ancestors - modern-day Israel. There are variations of Zionism - for example, some Zionists believe Israel has a right to some areas of land beyond its territory. Other Zionists disagree. The vast majority of Jewish people are Zionists, though a small minority oppose Zionism, for either religious or political reasons. Non-Jewish people can be Zionists as well. Anti-Zionism can be generally defined as opposition to the existence of the State of Israel. Anti-Semitism, on the other hand, means prejudice against Jewish people and has existed for centuries. The State of Israel was declared in 1948. Since then, in some cases when people have strongly criticised Israel it has been difficult to know whether or not the criticism is motivated by anti-Semitism. This has led to accusations that anti-Zionism - rejection of the Jewish state - is merely a modern form of anti-Semitism. Those who reject this comparison say this argument is used as a tool by Israel's supporters to silence reasonable criticism of Israel by portraying that criticism as racist. What's anti-Semitism got to do with the left wing? Anti-Semitism is not just a problem in the left wing of British politics. In fact, historically, most Jewish people voted for the Labour Party, when it was supportive of the State of Israel. But the party's stance on Israel began to change after the 1967 Middle East war - when Palestinians in East Jerusalem, the West Bank and the Gaza Strip came under Israeli occupation. Traditionally the left wing has spoken up for the rights of oppressed minorities in the UK and around the world - and the Labour Party now aligns itself with the Palestinian cause. Palestinians want their own state and face some severe restrictions from Israel. Israel says that, in the absence of any peace settlement, these measures are to protect it from Palestinian violence. By the 1980s, people with strong views on Israel became more prominent within Labour. This contributed to the party developing an association with anti-Zionism, something which had previously been limited to the far-left. Where does Jeremy Corbyn come into all this? This story dates back to 2016, when Mr Corbyn announced an independent inquiry into anti-Semitism and other forms of racism in the Labour Party. That was after his party suspended an MP, Naz Shah, and the Labour ex-Mayor of London, Ken Livingstone. They were both on the grounds of making allegedly anti-Semitic comments at the time. Ms Shah apologised while Mr Livingstone stood by his comments. 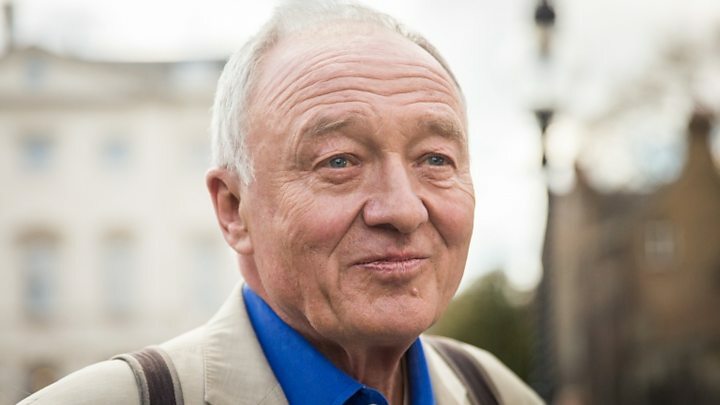 In May, Ken Livingstone said he was resigning from the Labour Party. 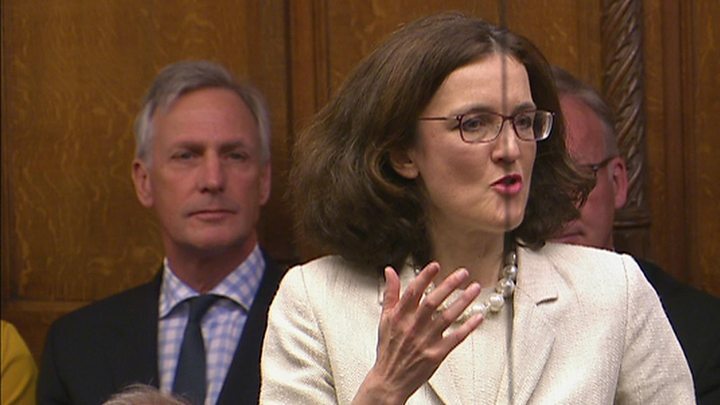 The inquiry found that there is an "occasionally toxic atmosphere" of anti-Semitism within the party. Speaking to the BBC in April this year, the chairwoman of the inquiry accepted that her recommendations hadn't fully been implemented by the party. Mr Corbyn has been accused of failing to do enough to tackle anti-Semitism. The Board of Deputies of British Jews and the Jewish Leadership Council are among his critics. They accuse the Labour leader of being unable to "seriously contemplate anti-Semitism, because he is so ideologically fixed within a far-left world view that is instinctively hostile to mainstream Jewish communities". Mr Corbyn issued an apology to Jewish people in a letter to Jewish leaders in March. Anti-Semitism claims flared up again this year when a 2012 Facebook post resurfaced. American graffiti artist Mear One had posted a picture of his street art, which was alleged to have been anti-Semitic and was eventually removed. It emerged that Jeremy Corbyn had commented under the Facebook post, questioning the removal of the wall painting. He has since expressed "sincere regret" for not looking more closely at the picture before he commented on it. The artist Mear One denies it was an anti-Semitic piece of work. The charge against Mr Corbyn is not usually that he is anti-Semitic himself - but that he doesn't see it as a big enough problem to do anything serious about it. Protests have been held against anti-Semitism and the Labour leader met Jewish leaders this week to address the issue. The leaders claim Mr Corbyn did not agree to any of the concrete actions they asked for, but he says he's "committed to rooting out anti-Semitism". Did Corbyn's meeting with Jewish leaders help rebuild trust? What do Jeremy Corbyn's defenders say? Ever since he became Labour leader in 2015, Jeremy Corbyn has had to oversee a divided party. 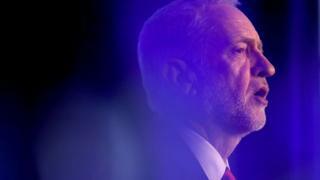 Some of his allies say that the latest anti-Semitism row is a plot to undermine his leadership. Some also deny claims that he has not taken action to solve the problem. They can point to the Labour Party's record of suspending and expelling members who have said anti-Semitic things. As well as the suspensions of Naz Shah - who has since been reinstated - and Ken Livingstone, there has been the suspension of a Luton councillor,a Kent activist, and a Brighton housing campaigner, all on charges of anti-Semitic comments on social media. And now, Labour is promising to settle the "vast majority" of the outstanding cases of alleged anti-Semitism by the end of July. 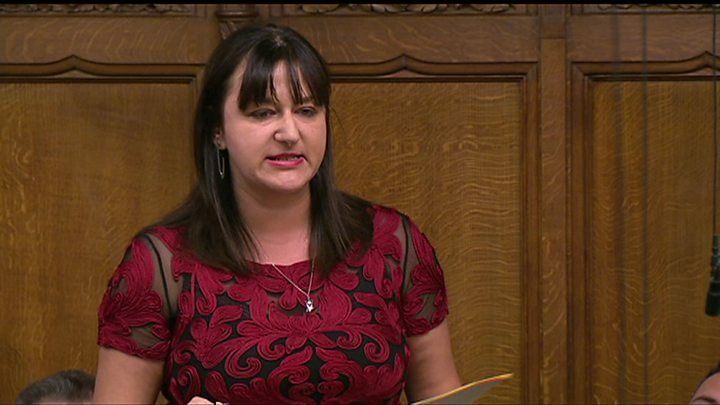 Media captionLabour needs to take action to deal with anti-Semitism in the party and is "still not taking this problem seriously"